7 January 1839: “With his wife Hannah, John Hunt followed Gross to Rewa, where he arrived on 7 January 1839. During the next nine years this twenty-seven-year old former plough boy from Lincolnshire, ordained in and for Fiji, lived close to the people. He understood them, listened to them, loved them. He lived near the centres of power of the great chiefs – Rewa, Somosomo on Taveuni, Viwa. Chiefs respected him: Though not technically trained for linguistic work as Cargill had been, Hunt learned the important Bauan dialect, which was to emerge as the standard of written Fijian: Before he died he had translated the New Testament and begun the Old. He started at Rewa with the Gospels. “I have more help in them than in any other part of the Scriptures , ‘ he confided to his journal. Hehad Cargill’s translations in the Lau dialect before him, but wrote, “ I don’t intend to call any man master but to think for myself. 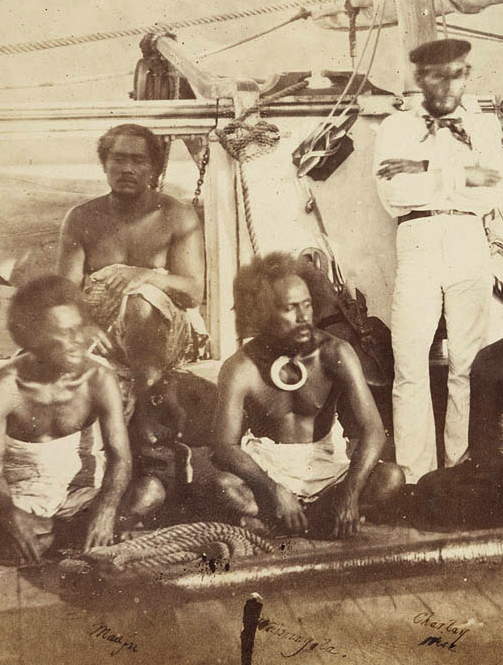 ‘ Hunt was as open as any of the missionaries to what he had to learn from the old culture of Fiji; he never `went native, ‘ remaining himself, English and a Methodist; but he talked of Christ rather than of European furnishings, clothing to the neck-line and punctual hard work. His readiness to follow the local custom of kerekere in giving away his own and his wife’s possessions to Fijians exasperated some of his colleagues. This sharing of personal goods in Fiji is customarily reciprocated, without reference to the first appropriation, by later equivalent gifts of food, mats or help in need. John Hunt grasped this aspect of Fiji’s social life and reaped its warm rewards”.